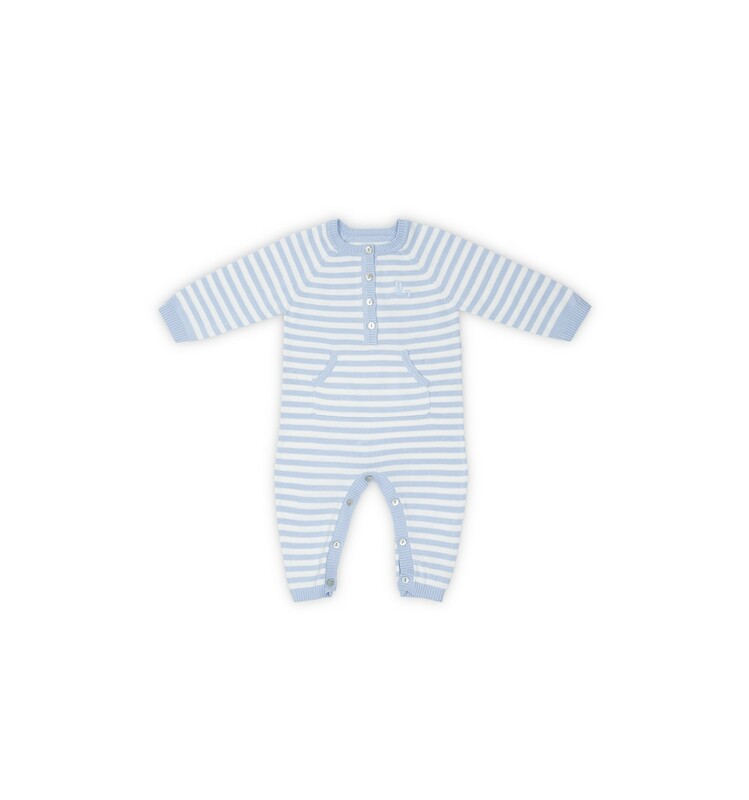 Onesie knitted in 100% cotton – 180 g.
Plain matching colour in sleeves, neck and legs’ endings. Frontal fastening with pearly buttons. Leg fastening with pearly buttons. Stork silhouette embroidered on left lapel.